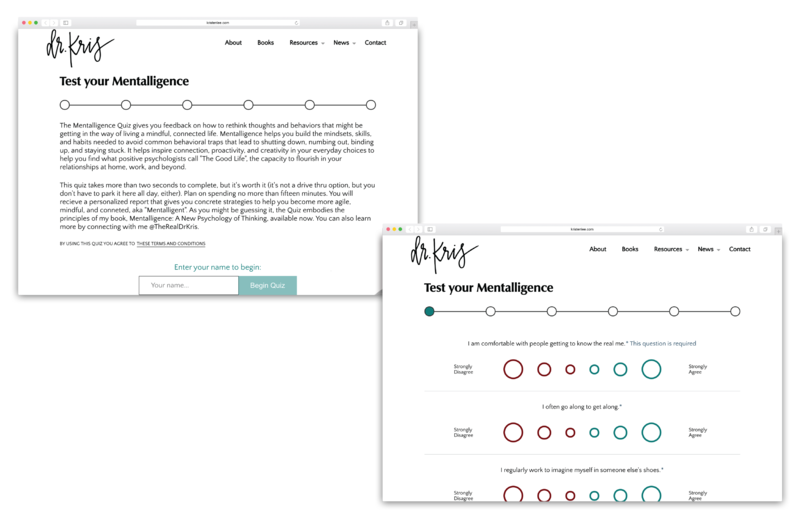 An identity and full site for Behavioral Science professor and two-time author. 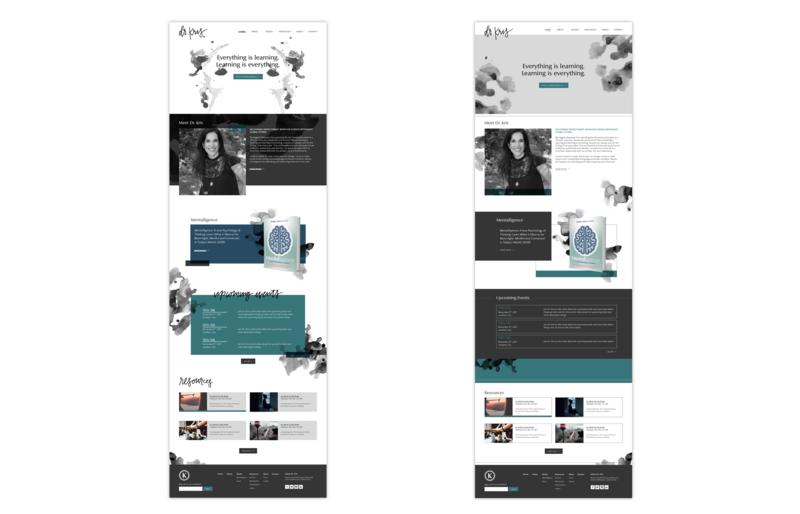 Our student team of four created a personal brand and website for our client, Dr. Kristen “Kris” Lee, a Northeastern University behavioral science professor and two-time author. 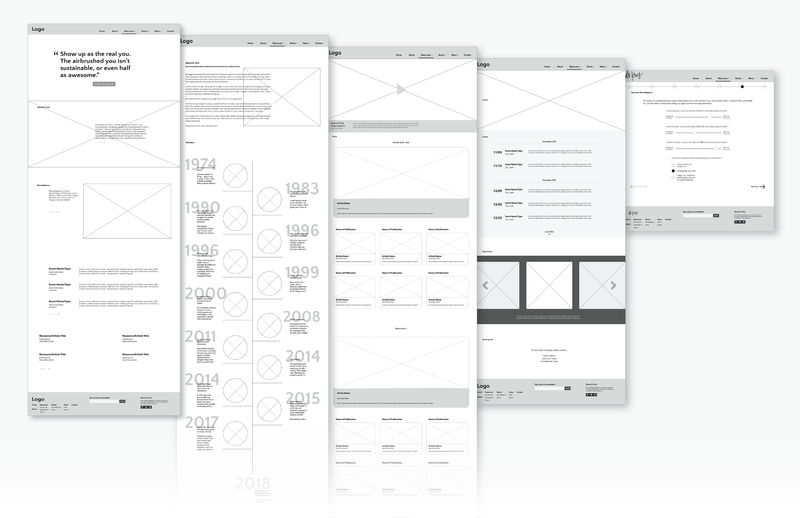 We conducted branding exercises and designed the visual system and website in an agile environment. 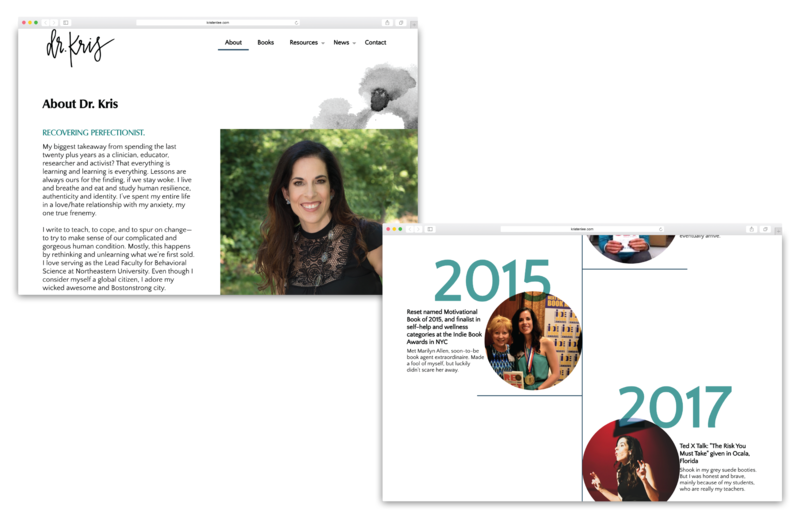 I worked collaboratively in a team of two Scout designers and one developer to create Dr. Kris's brand and develop her personal website. 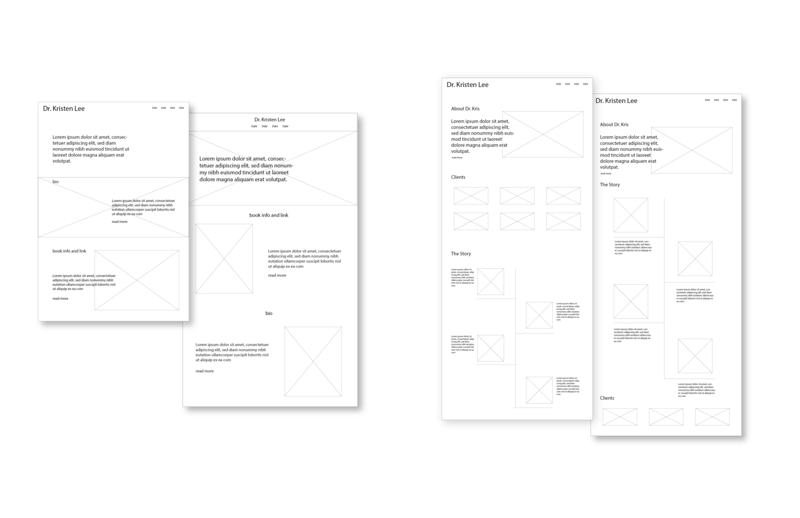 I primarily focused on UX/UI and wireframes for the website. 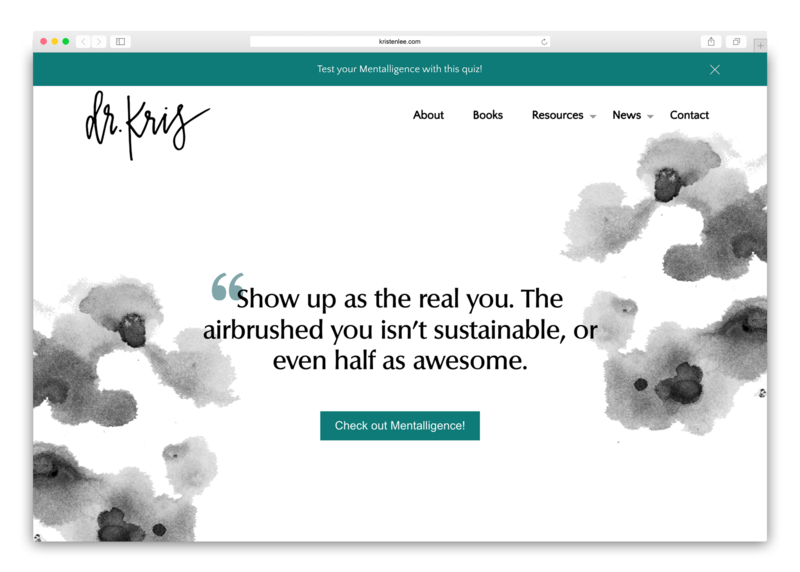 It took time and care to develop a brand voice that reflects and enhances Dr. Kris’s own voice and putting together a website that can easily develop as her career does. I learned how to work in an agile work process throughout our project. 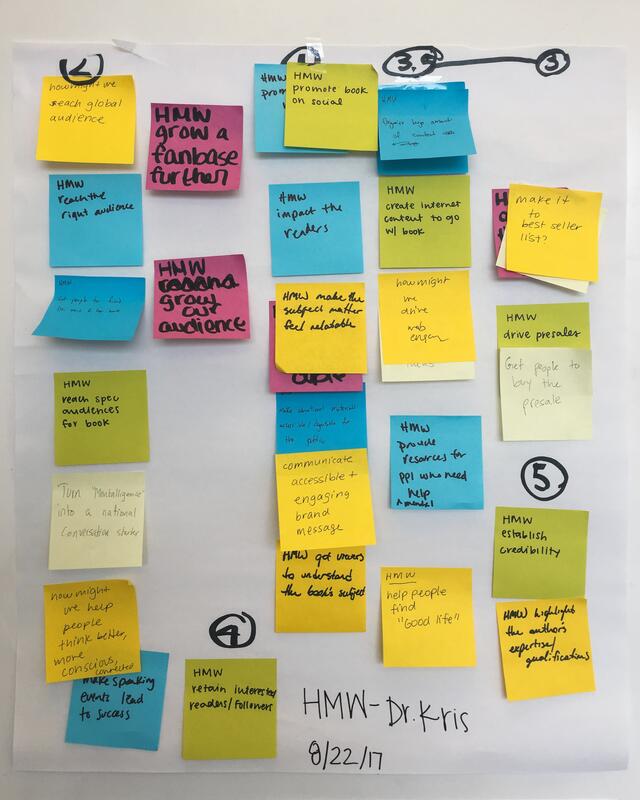 This was the first time I worked in a team doing design sprints and I developed the ability to work efficiently and put ideas into words.